San Felipe, Mexico—Looking to add to his record-setting class win total, SoCal’s veteran age-group motorcycle racer Jim O’Neal will ride in two classes to lead 64racers who have combined for 159 class wins among nearly 200 racers entered in Saturday’s 28th Tecate SCORE San Felipe 250 desert race. O’Neal, 67, the noted apparel manufacturer from Simi Valley, Calif., will be an additional rider in both Class 30 and Class 60 in the season-opener of the five-race 2014 SCORE World Desert Championship series. The SCORE season opener will be held in Mexico’s picturesque fishing village of San Felipe, located 125 miles south of the U.S. border on the East side of the Baja California peninsula along the azure waters of the tranquil Sea of Cortez. 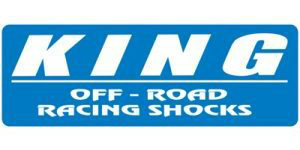 With late entries accepted up to 5 p.m. on Friday, the 274.0-mile race has attracted nearly 200 entries from 25 U.S. States and 10 countries ready to compete in 35 Pro and 6 Sportsman classes for cars, trucks, motorcycles and ATVs in the popular ‘spring break’ race. The starting grid includes 25 entries in SCORE Trophy Truck, the marquee racing division for hi-tech, 850-horsepower unlimited production trucks. Motorcycles and ATVs will begin taking the green flag Saturday morning at 6 a.m. in the elapsed-time race. The car and truck classes will begin starting at approximately 10:30 a.m. with at least a three-hour gap after the last Sportsman ATV leaves the start line. All Pro and Sportsman car and truck classes will have an 11 hour, 30 minute time limit and all Pro and Sportsman motorcycle and ATV classes will have a 10 hour, 10 minute time limit in the elapsed time race. The fastest finishers are expected to complete the course in approximately four hours, 30 minutes. The race will start another new chapter in SCORE history, beginning the second season of the tenure of Roger Norman, a former SCORE Trophy Truck race winner, as the owner of the world’s foremost desert racing organization. The race will be televised as a one-hour special in late April on the CBS Sports Network, part of the most expansive television package in SCORE history. SCORE International, founded in 1973 by the late motorsports innovator Mickey Thompson, is celebrating its 41st anniversary season in 2014. 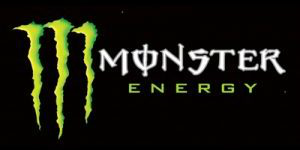 Official pre-race activities start Thursday night at 7 p.m. at the Monster Energy SCORE ‘Baja Goes Green’ party held at the base of the famed San Felipe arches entering the town. With current racers and race vehicles on hand as well as DJ party music, the public is invited to participate in the welcome event with a donation to Cruz Roja-Mexicana. The pre-race Manufacturer’s Midway, contingency and tech inspection of the vehicles in the race will be held on Friday. Contingency will run from 10 a.m. to 5 p.m. and tech from 10 a.m. to 6 p.m. on the picturesque Malecon, flanked by the Sea of Cortez on one side and the popular restaurants and night clubs of San Felipe on the other. Racer registration will be held from 9 a.m. to 5 p.m. on Thursday and 9 a.m. to 5 p.m. on Friday at the San Felipe Marina Resort, a few miles south of downtown San Felipe. The field includes racers from three of the last four overall motorcycle winners as well as the last four overall 4-wheel vehicle winners in San Felipe. Also entered are 22 class winners from last year’s race and 18 of the 2014 SCORE Desert Series season class point champions. 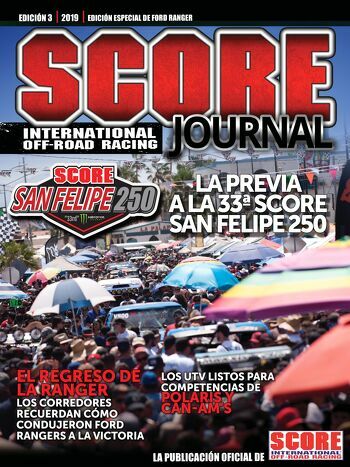 SCORE Trophy Trucks have won 17 overalls in San Felipe in the 20-year history of the class. Southern California’s Mark Post/Jerry Whelchel in 1997, San Diego’s son/father team of Andy and Scott McMillin (2005) and Armin Schwarz (Germany)/Martin Christensen (Denmark) (2010) have the only three Class 1 wins since SCORE created the featured SCORE Trophy Truck division in 1994. In the first 27 years of this race, Honda has earned 17 overall motorcycle victories (including 15 of the last 17 years), Kawasaki has six, KTM has three and Husqvarna has one. Leading the gregarious group of 34 racers with at least two class wins in this race entered this year are: Jim O’Neal (Class 60 and Class 30) with a SCORE-record14 class wins (age group motorcycle) wins–all in the last 13 years, Rob MacCachren (SCORE Trophy Truck) and Donald Moss (Class 3) who each have eight career class wins in this San Felipe race, Larry Roeseler (SCORE Trophy Truck) with six career class wins and with five class wins each in this San Felipe race are Curt LeDuc (SCORE Trophy Truck) and Kevin Carr (Class 10). O’Neal has raced in all 27 previous SCORE San Felipe 250 races and he has a SCORE-record 15 career season class point titles. Also entered this year are four racers who each have four class wins here: Tim Herbst (SCORE Trophy Truck), Richard Jackson (Class 60), Donald Lewis (Class 60) and Ricardo Malo (Class 10). Jackson has also earned 12 career SCORE season class point championships. The spectacular 274.0-mile race course runs in a clockwise direction and starts and finishes at the landmark San Felipe arches. The race course goes north of Highway 3 which it hasn’t done very often in race history, covering over 110 miles up the Goat Trail, the Summit and through the Laguna Salada and down to the finish. Another major change in this year’s course is that for the first time since the inaugural San Felipe race in 1982, the course goes around the back of Mike’s Sky Rancho after going through Morelia Junction and across Diablo Dry Lake. The fast and furious course heads due south leaving San Felipe and west through Chanate Wash, one of the infamous Baja washes before working its way north and northwest to the top part of the course. Led by Mexico’s 2013 overall race winners Gus Vildosola Jr and Gus Vildosola, other former race winners in the SCORE Trophy Truck field this year are Las Vegas’ four-time winner Rob MacCachren (No. 11 Rockstar Energy MacCachren Motorsports Ford F-150–2003, 2007, 2011, 2012), Las Vegas’ three-time winner Tim Herbst racing with Larry Roeseler, Boulevard, Calif. (No. 19 Monster Energy Terrible Herbst Motorsports Ford F-150—1999, 2000, 2001), two-time winner Gus Vildosola Jr racing with his father Gus Vildosola, Mexicali, Mexico (No. 21 Red Bull Vildosola Racing Ford Raptor—2003, 2013) and 1997 Curt LeDuc, Cherry Valley, Calif. who is an additional driver this year for Nick Vanderwey, Phoenix (No. 84 Flying Dutchmen Chevy Silverado). With a stellar all-star lineup of premier desert racers, leading the group of challengers against the former San Felipe race winners are Las Vegas racers Troy Herbst (No. 91 Monster Energy Terrible Herbst Motorsports Ford F-150), B. J. Baldwin (No. 1 Monster Energy Baldwin Motorsports Chevy Silverado), Juan C. Lopez, Tecate, Mexico (No. 18 RPM Racing Ford Raptor), San Diego’s McMillin family with siblings Jessica and Andy and father Scott (No. 82 McMillin Realty Ford F-150), Nick Vanderwey/Curt LeDuc, Schwarz/Christensen (No. 15, BMW XJ-6) and Clyde Stacy, Bristol, Va/Carlos Lopez, Tecate, Mexico/Eduardo Laguna, Mexicali, Mexico (No. 5 Geiser Rally Truck). Troy Herbst has two unlimited Class 1 wins in San Felipe and Baldwin is a four-time and defending SCORE Trophy Truck season point champion (2006, 2008, 2012 and 2013). Last year’s overall 4-wheel and 2-wheel champions are also part of the field. The Vildosolas were the overall and SCORE Trophy Truck champions in 2013 while the returning 2-wheel and Class 22 champion is the Colton Udall, San Clemente, Calif., who will be splitting seat time this year with Mark Samuels, Yucaipa, Calif. Besides the Vildosolas and Udall, a total of the 19 defending San Felipe class winners have entered so far this year including: Cody Parkhouse, Garden Grove, Calif. (Class 1), Donald Moss, Sacremento, Calif. (Class 3), Kevin Carr, San Diego (Class 5), Elias Hanna, Ensenada, Mexico (Class 7SX), Mike Lawrence, Sunset Beach, Calif. (Class 10), Kay Awaad, Calexico, Calif. (Egypt) (Stock Full), Clyde Stacy, Bristol, Va. (Trophy Truck Spec), Matt Parks, Newport Beach, Calif. (Class 19), Jim O’Neal, Simi Valley, Calif. (Class 21), Ricky Brabec, Oak Hills, Calif. (Class 21), Adolfo Arellano (Class 25), Said Sanchez (Class 24), Jorge Valdes (SPT Buggy), Vincent Munoz (SPT UNL Truck), Thomas Graves (SPT UTV UNL) and Mark Winkelman (SPT M/C<)..
Carr (Class 10), Hanna (SCORE Trophy Truck), Stacy (SCORE Trophy Truck), O’Neal (Class 30 and Class 60), Brabec (Open M/C), Arellano (Pro ATV), Sanchez (Pro ATV), Valdes (Class 10) and Graves (Class 19) are all entered in different classes this year. SCORE is honored to have the legendary desert racer Ivan ‘Ironman’ Stewart as the Grand Marshal of this year’s race. Racing since 1973, Stewart joined the Toyota factory team in 1983 for Cal Wells at Precision Preparation Inc. (PPI). He won a total of 82 victories with PPI. Stewart won a record 17 races in Mickey Thompson Entertainment Group’s (MTEG) stadium series, a record 17 SCORE Baja 500s, three SCORE Baja 1000s, and five SCORE season class point titles, including SCORE overall point championships in 1990 and 1993. He also won four SCORE World championships and three MTEG stadium racing titles. Stewart was a 2006 inductee in the Off-Road Motorsports Hall of Fame. In 2009, Stewart was also inducted into the San Diego Hall of Champions Breitbard Hall of Fame. Following a live drawing for starting positions Las Vegas’ multi-time champion Troy Herbst and SoCal rookie Rodrigo Valenzuela received the pole positions for four-wheel and two-wheel vehicles during the Dirt LiveHD webcast. Troy Herbst races in the featured SCORE Trophy Truck Division while Valenzuela competes in Open Motorcycle class. Drawing the first starting slot for the unlimited Class 1 open-wheel desert race cars was defending class champion Cody Parkhouse. 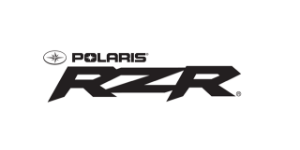 Riding the first ATV off the line will be team led by Michael Zelenka. With 25 entries in the marquee SCORE racing division, Troy Herbst, who splits driving time with teammate Ryan Arciero, Foothill Ranch, Calif., drives the No. 91 Monster Energy Terrible Herbst Motorsports Ford F-150 SCORE Trophy Truck. Valenzuela, just 17 years old from Calexico, Calif., will ride a KTM 450EXC motorcycle in Pro Open motorcycle class. The SCORE World Desert Championship series will be visiting Mexico for the first of three annual SCORE Baja races in 2014. This year’s race is the first as part of a new three-year contract with the Mexican government to hold the ever-popular in San Felipe. The season-opener of the 2014 SCORE World Desert Championship series, the Tecate SCORE San Felipe 250 annually provides a greater economic impact to San Felipe than the popular six-week-long ‘Spring Break’. The race began in 1982 and was not held between 1985 and 1989, the first five years of the seven-year combined High Desert Racing Association-HDRA/SCORE Desert Series of US and Baja races. It has been held consecutively each year since 1990. In its first 27 years, the race has been held in San Felipe all but 2007 when political issues forced a last minute move by SCORE, starting it in Ensenada and finishing it in Santo Tomas. Ironically, 2007 saw a race-record 394 starters and a race-record 288 finishers even though the race was moved and the course changed just 10 days before the event. The records when the race actually started and finished in San Felipe are 341 for starters in 2006 and 220 for finishers, also in 2006. In its 41st year as the world’s foremost desert racing organization in 2014, the five-race 2014 SCORE World Desert Championship series, with three special events held in Baja California, Mexico, and two in the United States, starts with the 28th annual Tecate SCORE San Felipe 250. Starting and finishing in Ensenada, the 46th annual Tecate SCORE Baja 500 will be held June 5-8 and the third SCORE Baja race, starting in Ensenada and finishing in La Paz, the 47th annual Tecate SCORE Baja 1000 will be held Nov. 12-16. The two U.S. races on 2014 SCORE World Desert Championship calendar are the inaugural SCORE Imperial Valley 250 in Plaster City, Calif. (April 25-27) and the two-day, single-race Inaugural SCORE Desert Challenge, location TBA in SoCal (Sept. 25-28). Dirt LiveHD, Roger Norman’s weekly Tuesday night internet studio show from El Cajon, Calif., also goes on-site live with expanded event coverage during SCORE events. Live event coverage in 2014 will include week-long live coverage of the entire five-race 2014 SCORE World Desert Championship series of two races in the United States and three in Baja California, Mexico. The first event of the inaugural SCORE World Desert Championship series will be the 28th Tecate SCORE San Felipe 250. This week’s coverage, which will including live tracking of all vehicles in the race along with start and finish line interviews, will begin Thursday and the Monster Energy SCORE welcome party. Desert racing public address announcer and former racer George Antill is the executive producer. Providing bilingual announcing this week will be Mexico’s Karolina Hirales. Another special segment most weeks is SCORE Tech Tips with SCORE Tech co-directors Jake Velasco or Art Savedra or SCORE Trophy Truck racer and prep-shop owner T.J. Flores.